Melt 1/4 c. butter in a skillet over medium-high heat until melted. Add garlic and sauté until lightly browned. Add shrimp and cook until shrimp turns pink. 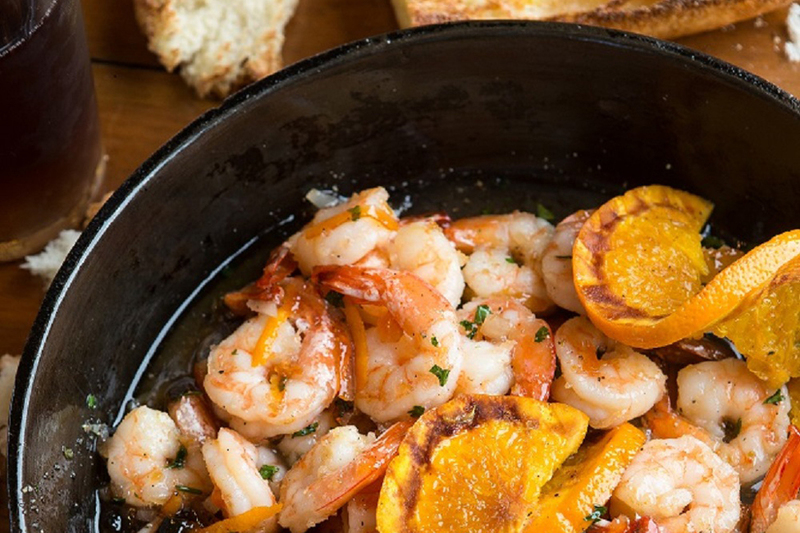 Stir in Hot Blooded Orange Marmalade until shrimp are well coated. Add additional marmalade as desired. Serve with orange wedges and french bread baguettes.